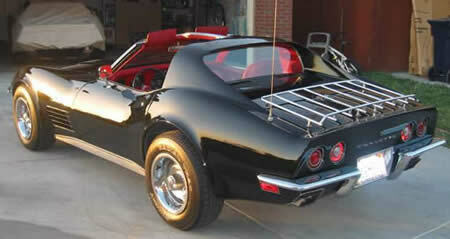 The 1971 Corvette was little changed from the 1970. Engines were detuned with reduced compression ratios due to lower octane unleaded fuel mandated by new emiision standards. 1971 would be the last year to feature the fiber optic light monitoring system located on the shifter panel. See below for production numbers and 1971 Corvette specifications. Horse power drops due to new emissions standards. Rare ZR1 and ZR2 racing packages offered. 1971 was the last year for fiber optics lights monitoring system. High-domed hood included with 454 1971 Corvette. LT1 - Original - NCRS Top Flight !